Yartsa Gunbu (Cordyceps sinensis) and the Fungal Commodification of Tibet’s Rural Economy. Cordyceps sinensis is a mushroom that parasitizes larvae of Thitarodes (Hepialus) moths, which inhabit the alpine grasslands of the Tibetan Plateau. Tibetans have used the mushroom, which they call yartsa gunbu (“summer-grass, winter-worm”) for many centuries, if not millennia. A 350% increase in the price paid to pickers between 1997 and 2004 has turned this tiny mushroom into the single most important source of cash for rural households in contemporary Tibet. On average, 40% of the rural cash income in the Tibet Autonomous Region is derived from its collection, which government statistics figured at 50,000 kg in 2004, contributing at least CNY (Chinese yuan) 1.8 billion (USD 225 million) to the Tibet Autonomous Region’s GDP. A dramatic fungal commodification of the rural Tibetan economy is occurring, as the income from sale of Cordyceps often accounts for 70%–90% of a family’s annual cash income in areas where it grows. The ever-increasing harvesting pressure raises the question of sustainability. The fact that Cordyceps has been collected for centuries and is still common argues for its resilience, but the lack of harvest studies for C. sinensis precludes a definite answer as to whether the harvest can be sustained at its current level. China’s Beijing-based Tibet Research Institute sponsored the fieldwork in Tibet AR in 2005. This article integrates the findings of this cooperation. Special thanks to Luorong Zhandui, who took me to remote sites in Tibet AR. Without his support, I would not have been able to acquire much of the data. Jakob Winkler translated the yartsa gunbu text by Nyamnyi Dorje from Tibetan into English. In addition, I want to acknowledge all the other researchers who shared their knowledge and my Tibetan counterparts who supported me while tracking bu. Last, but not least, I am grateful to all the collectors and dealers who freely shared their knowledge and data. Alternate spellings for Tibetan place names. Sources: Wylie 1959; Xizang 1995; An and Chen 2003; Tibetan and Himalayan Digital Library 2008. ENS 2005. Tibetans, Chinese Battle over Access to Medicinal Fungus. http://www.ens-newswire.com/ens/jun2005/2005-06-02-01.asp. He, S. A. and N. Sheng. 1995. Utilization and Conservation of Medicinal Plants in China. 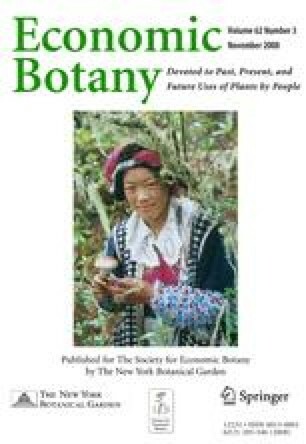 Non-Wood Forest Products 11—Medicinal Plants for Conservation and Health Care. FAO, Rome. http://www.fao.org/docrep/W7261E/W7261e13.htm. Holliday, J. and M. Cleaver. 2004. On the Trail of The Yak: Ancient Cordyceps in the Modern World. http://alohamedicinals.com. Tibetan and Himalayan Digital Library. 2008. www.thdl.org (April 2008). Wen, Y. 2004. High Cost of Popular Little “Worm.” China Daily 8-30-04. http://www.chinadaily.com.cn/english/doc/2004-08/30/content_369919.hTibetan Medicine. ———. 1999. Forestry, Floods, and Hydroelectricity—China’s National Natural Forest Protection Project and Its Impact on Tibetan Areas. In Sinosphere 3.2, published at www.chinaenvironment.net/sino/sino5. Wong, J. L. G. 2000. The Biometrics of Non-Timber Forest Product Resource Assessment: A Review of Current Methodology. Research paper ETFERN, DFID, UK. www.etfrn.org/etfrn/workshop/ntfp/text.pdf. Zhang, J., W. Wang, and Y. Geng. 2001. A Case Study on the Exploitation and Management of NTFP in Shirong Village of Xiaruo Township in Deqing County. The International Seminar on NTFP, http://www.mekonginfo.org/mrc_en/doclib.nsf/0/4DF3BAFD4FB10F4947256B420029A216/$FILE/FULLTEXT.html.